Color is one of the most intuitive elements that guide people's perception of things, and is an indispensable part of a gorgeous world. In the spring and summer of this year, Pantone's popular colors swept through Dalian Times Square, gathering together into a colorful art tunnel, detonating the spring and summer trends. The T-stage of the show has conveyed an extremely elegant and clean brand style since ancient times. 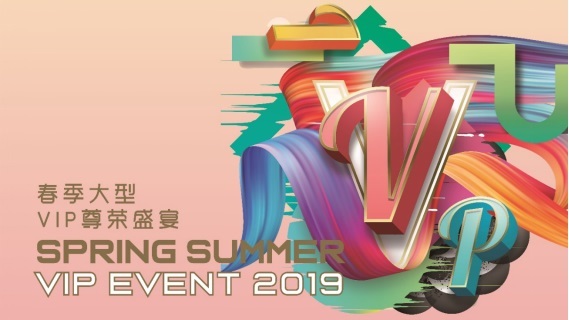 At 14 o'clock on the afternoon of March 30, 2019, this spring and summer brand show is coming, and the applause and expectation of more than one hundred guests. Among them, the models are taking firm and powerful steps and appearing in people's field of vision. Under the changing colorful lights, every step seems to step in the Milky Way, splashing with brilliance. 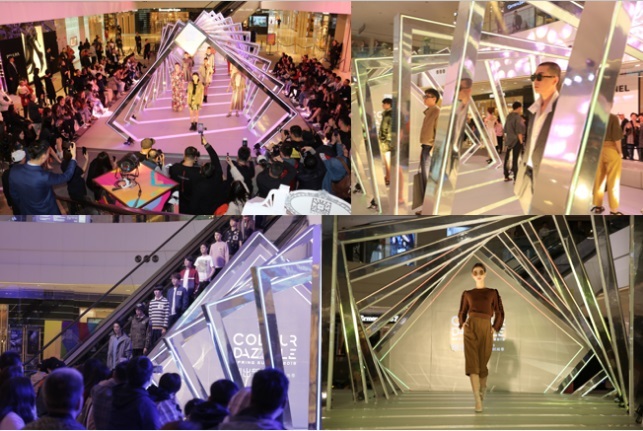 The spring and summer fashion show was hosted by Dalian Times Square. The four brands Max Mara, MAX&Co., Kent & Curwen and CERRUTI 1881 were jointly presented to bring the 2019 spring and summer trend express to the public. On the day of the big show, the colorful atmosphere of the gorgeous spring and summer in Dalian Times Square, the experience of Pantong Floral and Pantong Aromatherapy, made the guests enjoy a great degree of pleasure in the visual sense of the double senses, in such a wonderful and colorful atmosphere. The guests were present to enjoy the spring and summer fashion show. The mysterious beauty of fashion lies in its variability and unity. For fashion, everyone has different definitions. Under the trend of each historical period, the trend of each brand has many subtle and interesting differences. 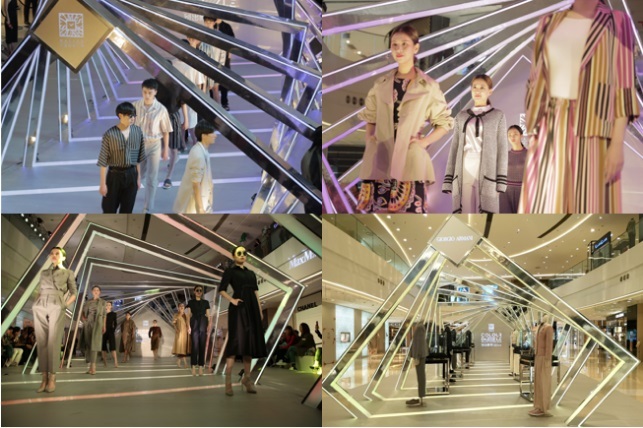 From March 27th to May 14th, 2019, Dalian Times Square united four international famous brands: Giorgio Armani, Max Mara, CERRUTI 1881, Bonpoint to create a spring and summer fashion show, and light up the tunnel with various brands in spring and summer. To make the public feel the trend of the new season in the color corridor. This static exhibition is catering to its theme - "Don't make new colors", and the spring and summer popular colors of the four brands will run through. Let the public feel the different definitions of different brands in the spring and summer, and use the color as the first-come feeling to appreciate the fashion trends and experience the different fashion charms. It is the extraordinary courtesy of spring that comes with the shocking fashion show and the smashing static exhibition. From now until April 7th, customers can redeem the physical gifts and discount cards with the points, and the 45,000 yuan discount card can be redeemed. From April 5th to 7th, there will be more exciting gifts and gifts. The accumulated spending of over 30,000 yuan can be exchanged for a 1000 yuan discount card. Dalian Times Square is a landmark commercial property in Dalian. It is also the Hong Kong Wharf Group with the Hong Kong shopping mall Harbour City. There are more than 30 international first-line brands here, and the products are also launched simultaneously with the brand official. 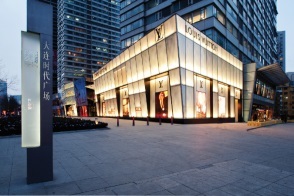 With its unique building design and fashionable shopping life experience, it has become the benchmark of Dalian fashion. The mall selects fashion salons, international cultural experiences and other themed activities to convey individuality and high-quality fashion elements. It is highly sought after by high-end people who pursue creative design and enjoy cultural life. Walking into Dalian Times Square is like going to Paris, New York, London and other fashionable metropolises, so you can enjoy the perfect shopping experience like heaven. FR Suits can inhibit the ignite prevent the spread of flames,keep away from the impact of high heat,and Fr Suits can do almost immediately self-extinguishing after move away fire source.The other fabrics suits will be fired since the ignition point,flame spread quickly,and it is still on fire after move away the fire source, until it has been put out or flammable material is burned. FR Coveralls capable of preventing itself from being ignited or slowing and terminating combustion after contact with a flame or hot object.we produce FR Suits,FR Jackets,FR knitted t-shirt, FR Bibs are all certified. If you need Flame Retardant Fabric to meet certain FR standard, we can provide you relative FR certificate, and make sure the specific code which you received is valid. Sometimes, certified corresponding fabric may not be exactly what you need, but most important is the connection between us, and you trust us.